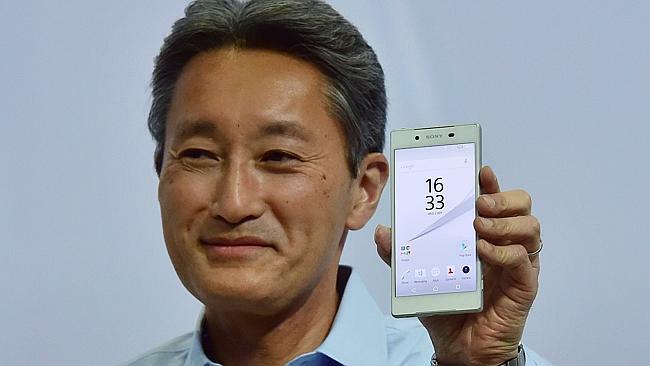 Sony Mobile Communications today unveiled its next-generation Xperia Z5 and Xperia Z5 Compact, and the world’s first 4K smartphone Xperia Z5 Premium at Berlin, IFA.At a keynote address at the IFA trade fair in Berlin, Sony president and CEO Kazuo Hirai said the Z5 also boasted the world’s faster autofocus on a smartphone camera, some 0.03 seconds. A new feature called clear image zoom would let users zoom in 5 times closer to an image without deterioration, even in lowlight situations. Shaky video was taken care of the next advanced image stabilisation system.He said the Z5 had a finger print reader on its side which allowed for secure unlocking in a single gesture.The Z5 battery’s would provided up to 2 days of charge. The handset was available in various colours and in two sizes: one with a 4.6-inch display and a premium model with 4K video quality on a 5.5-inch screen. 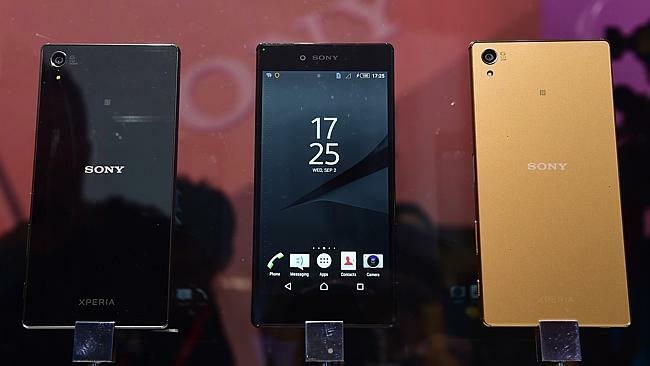 Newly released Sony Xperia Z5 smartphones are on display at the Sony booth oat Berlin’s IFA. significant advancements in the evolution of Sony’s SteadyShotTM with Intelligent Active Mode for video. Xperia Z5 and Xperia Z5 Compact are powered by the Qualcomm Snapdragon 810 processor, featuring octa-core CPUs, 64 bit capabilities and ultra-fast 4G LTE speeds, letting you reach new levels of performance for video, photography and gaming. Whether you’re multi-tasking over Wi-Fi or the latest 4G network, both devices deliver the speed you need. Download email with attachments in seconds and enjoy video streaming with no delays or unwanted buffering. Sony’s 4K leadership now in a mobile device – Xperia Z5 Premium, the world’s first 4K smartphone.Xperia Z5 Premium is the world’s first 4K smartphone with a sharp, vivid 5.5” 4K TRILUMINOS™ Display for mobile and IPS, where breathtaking detail is depicted with pinpoint accuracy for the most natural images, at four times the resolution of Full HD. y image.And, why not port the memory card from Sony’s 4K Action Cam FDR-X1000V to Xperia Z5 Premium to enjoy your footage immediately – or simply connect to the big screen either wirelessly via DLNA or with MHL 3.0 to enjoy your content on a 4K TV.Xperia Z5 Premium is designed from the ground up as a high-performance mobile device, also powered by the Snapdragon 810 processor. A high capacity 3430 mAh battery lasting for up to two days, with quick charge capability eliminates the need Z5_Premium_white_groupfor regular charging. Xperia Z5 and Z5 Compact will launch globally from October 2015, and Xperia Z5 Premium from November 2015 – Xperia Z5 and Xperia Z5 Premium will be available in both Single SIM and Dual SIM variants¹¹.